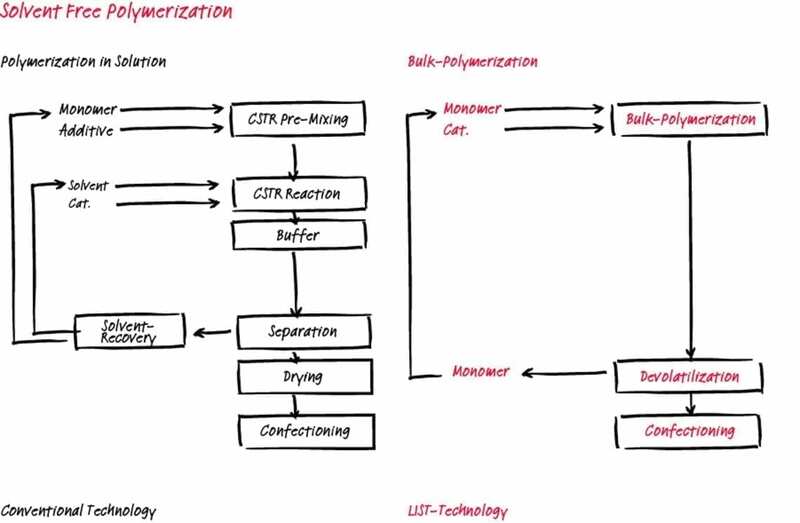 The goal of most polymerization processes is to create a high molecular weight material with a specific structure. However, these polymerization processes are often highly exothermic and the final polymer is very viscous. The conventional production process for polymers requires large volumes of excess solvent and / or monomer to absorb the heat of reaction and to dilute the polymer to a low viscosity that can be processed. The LIST KneaderReactors are able process extremely viscous materials, while adding or removing large amounts of heat, and this makes them an ideal alternative to the conventional processes. The first stage LIST KneaderReactor is used to polymerize the monomers and catalyts in a highly concentrated, solvent-free phase. Conversion rates of 90% … 99% can be easily reached. 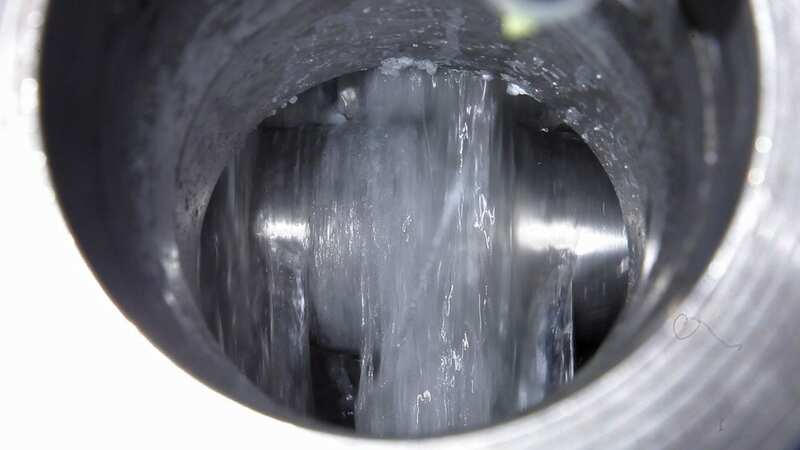 In the second stage KneaderReactor, the polymer is directly devolatilized to a residual monomer content of 1000 ppm or lower. Especially in exothermic bulk (co)- polymerization processes, the large heat exchange surface of LIST KneaderReactors in combination with evaporative cooling helps to precisely control the product temperature. The unique geometry of the mixing elements provides constant surface renewal which optimizes the heat transfer while minimizing product accumulation and dead zones. Bulk polymerization of Methacrylic Acid Derivates in a LIST KneaderReactor can reach a conversion rate of up to 98% and Polydispersity Index (PDI) values of 2.0 … 2.5 can be reached. Acrylic acid is polymerized in an aqueous bulk polymerization using a LIST KneaderReactor with a polymer content up to 45%. The precise temperature control in the LIST KneaderReactor results in a very narrow Polydispersity Index (PDI) distribution. The SAP is discharged as free flowing granular material.